Just about anyone can become a trader, but to be one of the master traders takes more than investment capitalInvesting: A Beginner's GuideCFI's Investing for Beginners guide will teach you the basics of investing and how to get started. Learn about different strategies and techniques for trading, and about the different financial markets that you can invest in. and a three-piece suit. Keep in mind: there is a sea of individuals looking to join the ranks of master traders and bring home the kind of money that goes with that title. Very few of them make the grade or even come close to it. Consistent, winning traders are about as rare as multi-million dollar winning lottery tickets. One of the prerequisites of becoming a master trader is an adequate education in fundamental economics, financial marketsTypes of Markets - Dealers, Brokers, ExchangesMarkets include brokers, dealers, and exchange markets. Each market operates under different trading mechanisms, which affect liquidity and control. The different types of markets allow for different trading characteristics, outlined in this guide, and technical analysisTechnical Analysis - A Beginner's GuideTechnical analysis is a form of investment valuation that analyses past prices to predict future price action. Technical analysts believe that the collective actions of all the participants in the market accurately reflect all relevant information, and therefore, continually assign a fair market value to securities.. But there are plenty of well-educated, well-informed, very intelligent individuals who won’t qualify as master traders. The critical difference between winning traders and losing traders is more dependent on acquiring the six essential skills that master traders share. Master these skills and then you’ll get a genuine shot at being a trading master. The ability to do quality research and solid market analysis is fundamental to trading success. Master traders develop their skills in being able to thoroughly research all information relevant to the securities they trade – and then, more importantly, being able to accurately determine the likely impact of that information on a particular market. Master traders learn and perfect utilizing market information – both fundamental economic information and market information in the form of trading and price action that occurs – to adapt and approach the market in the most effective ways possible. (By “effective,” we mean with favorable risk/reward ratios, high probabilities of success, and low levels of risk, just in case we get things wrong). Analytical skills are vital because they enable a trader to better understand, identify, and use trends (or the lack thereof) – both as applied to price action on individual charts of various time frames, and in the market as a whole. As you analyze a market and spot patterns and trends, it’s also necessary to determine what technical trading approaches are called for. We suggest that focusing less on the money to be made, and more on taking the right action at the right time, is a major attitude necessary for developing and perfecting your analytical skills. Focusing on the market, not on the money in your trading account, enables you to make the best, objective trading decisions in each situation – and doing THAT enables you to ultimately make the wisest and most profitable trades. Nearly all of the “Market Wizards” interviewed by Jack Schwager in his famous books on winning trading stated that they focus on the market and on their trades, not on their account balance. They’re solely concerned with trying to get the market right, regardless of whether doing so makes them a dollar or a million dollars. Over time, master traders develop strategies and trading techniques that they use over and over again. Over time, every trader puts together his own personal toolkit of methods, maneuvers, strategies, and trading tactics. That’s a good thing. It’s important that you have your own individual trading style and trading edge, such as specific combinations of technical indicators that signal high probability trades. Having your own tried and true trading tricks is a good thing. A better thing, a master trader sort of thing, is having your most ingrained habit be the habit of continually monitoring the market for signs and indications that the market is changing or forming a new pattern, thereby signaling to you that you need to adapt to those changing conditions by adjusting your trading strategy accordingly. Regardless of the industry, company, or particular profession, everyone faces peaks and valleys in their career. If you are a full-time trader, you will inevitably be met with considerable gains and, at other times, significant losses. Sticking with it – staying in the trading game – is an irreplaceable and vital skill that every master trader possesses. Of course, it’s easy to become excited and overly eager to make hasty trades when favorable price movements benefit your bank account. Human nature bids us to continue acting in certain ways when the outcomes are good. But there will also be days when the market all but completely turns against you. 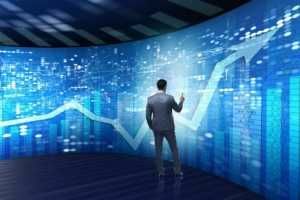 Rather than being filled with excitement about trading, at times like those you just want to turn off your computer monitor or close out your trading platform and slink away and lick your financial wounds. A master trader understands that neither extreme will last forever, and, that sticking it out – through the good and the bad – is a skill that enables you to learn, grow, and profit. A significant part of being able to stay in the game is practicing good risk management and money management. Always use stop-loss orders and never risk too much on any one trade. Don’t take trades unless they have positive risk/reward ratios, in other words, if what you’ll make if you’re right is significantly more than what you’ll lose if you’re wrong. Why risk a possible $500 loss if the most you’ll likely make even if your market analysis is perfectly correct is only $100? Those numbers are not in your favor. Instead, only take trades when being right stands to make you a lot more than being wrong can cost you. Even when there seems to be a good trade opportunity, such as a major market reversal, if you can’t get a favorable low-risk entry point, just let that opportunity go by, and instead wait for one to materialize where you can get a good, low-risk entry. Discipline and patience are two very closely related skills that every master trader needs – in abundance. As we mentioned above, staying in the game is important because it allows you to experience both the highs and the lows, learning from them and making the necessary adjustments to your trading. A master trader must be both patient and disciplined in order to stick with it, especially on days when profit is non-existent. A patient and disciplined trader knows, for example, that quite often the very worst trading sessions or days are followed by significantly better ones. Keep in mind that a fundamental part of market behavior is its up-and-down, give-and-take fluctuations. Sessions that run flat and see very little volume may continue for several days, but the disciplined trader understands that patience will be rewarded, so he waits until the market begins to make a truly significant move before entering and risking his hard-earned money. One of the most common mistakes of losing traders is trading when the market isn’t presenting any genuine profit opportunities. Many traders just put on a trade out of sheer boredom. Such actions nearly always cost you money. A master trader simply takes it in stride if an entire trading session passes by in which no good, low-risk profit opportunities arise. Master traders know that the market will be open again tomorrow and that there will always be new trading opportunities. Don’t let markets that are going basically nowhere trick you into abandoning good trading discipline and strategy. Be patient, wait, and when an opportunity does present itself, don’t hesitate – pull the trigger and enter the market, with confidence in your trading ability. Master traders learn from their trading mistakes. Losing traders rarely do. One of the critical habits that creates winning traders is that of keeping a trading journal. Your trading journal keeps a record of each trade as it happens: your entry point and your reason for buying or selling; where you put your stop-loss order and your take-profit order; what happened in the market after you initiated your trade and how you reacted to the market action; finally, the amount of your win/loss. Keeping a trading journal and regularly reading back through it provides one of the quickest and easiest ways to identify both what you’re doing right and what you’re doing wrong. The primary message we hope you take away from this piece is that every master trader needs to develop the essential skills for successful (i.e., profitable) trading. Make the necessary effort to become a genuinely skilled trader, and the market will reward you for your diligent efforts. Becoming a master trader isn’t easy, but it is possible and well worth the effort. If you start working in that direction today, rather than putting it off until tomorrow, then you’re one day closer to making your financial dreams a reality.